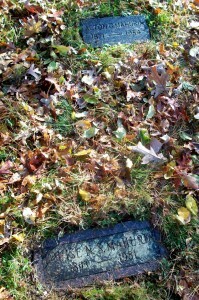 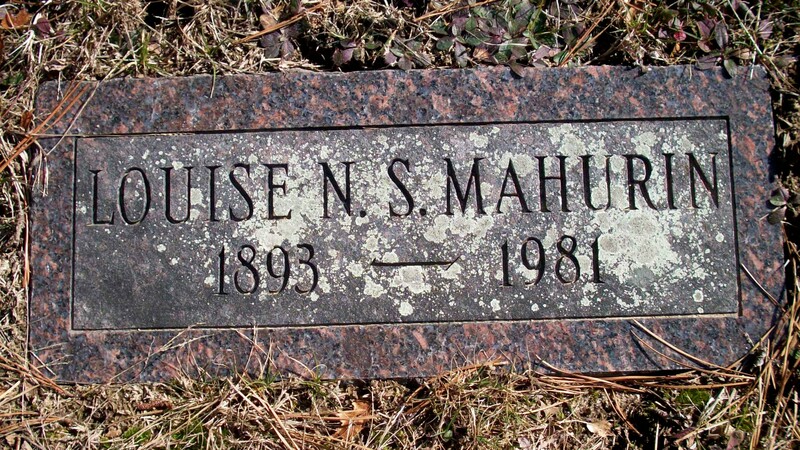 Died: July 8, 1981 in Manomet Ma. 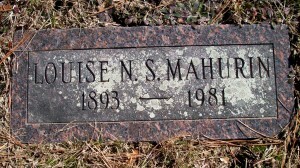 Married (1): August 8, 1915 in Boston Ma. 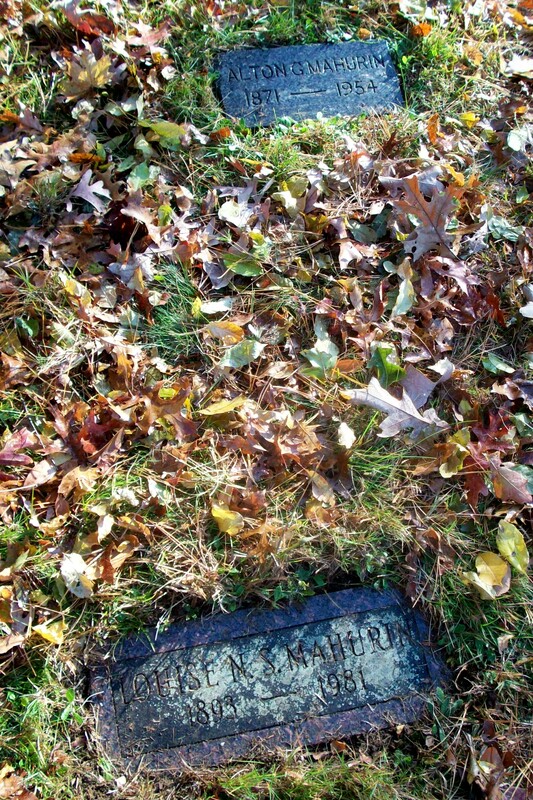 To: Alton Green Mahurin; (1871 – 1954) (William Henry Mahurin & Ellen Freeman Green); Alton married (1) Alice Louise Williams (Abt.1871 – 1939) on July 27, 1921; Alton & his second wife Louise are buried with his family in Pocasset Cemetery.